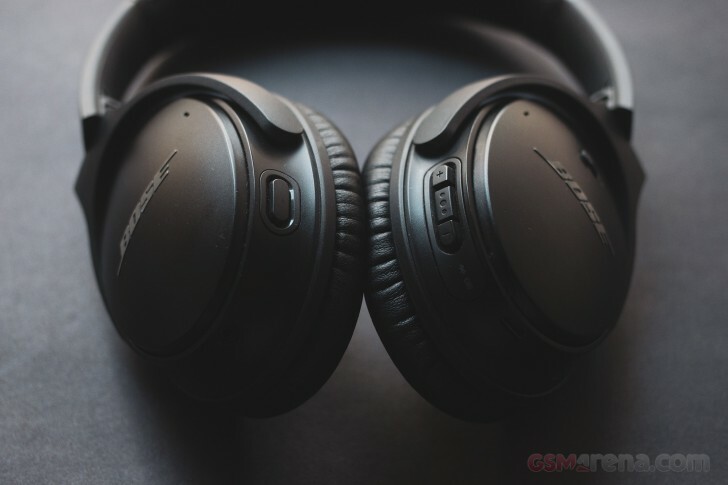 For the longest of times, if you wanted the best noise canceling pair of headphones on the market, your option would be the Bose QuietComfort. Regardless of what your opinion might be about the audio quality on Bose headphones, no one could deny the company made the quietest pair of headphones money could buy. 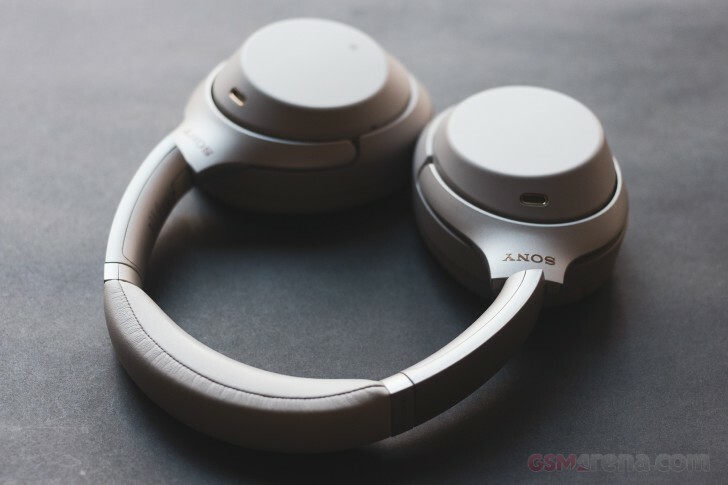 A couple of years ago, however, Sony launched the 1000X, the company's flagship pair of wireless headphones that also featured active noise canceling. These competed with the then available Bose QuietComfort 35, Bose's own flagship wireless headphones, which were the industry benchmark. 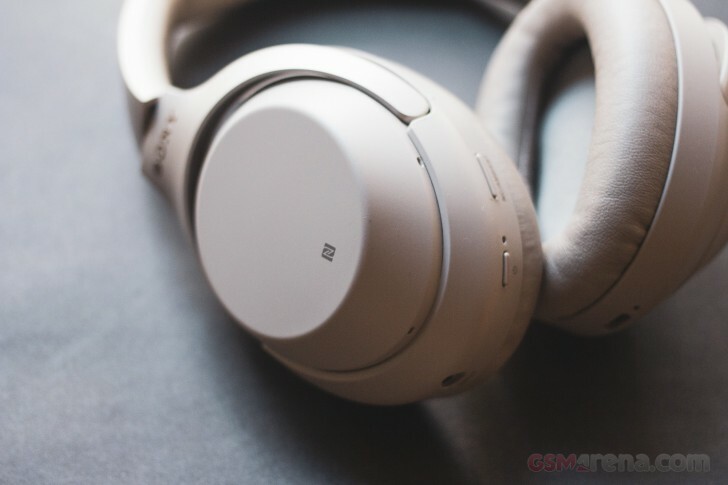 For many, the new competition from Sony changed that, with the 1000X being crowned as the best noise canceling headphones that you could buy, beating Bose in the all important active noise canceling aspect while also featuring great audio quality along with some other bells and whistles. A few years have passed since then and we are now at the third generation of the Sony 1000XM3. Meanwhile, Bose is now on its second generation QuietComfort 35. While the Bose honestly hasn't changed much since the first model, Sony has gone through quite a few changes, even compared to the second generation model. At the outset, it feels like Sony may have an unsurmountable lead over the Bose but we wanted to be sure so we got both in for a comparison so you know which one to grab before your next transatlantic flight. Visually, neither headphones go for a fashionable design. Both headphones employ a subtle, sophisticated look, especially in their respective black variants. The Bose has the smaller size of the two, with the Sony appearing a bit bulbous in comparison. If you want the most discreet design, the Bose is the better option. Both headphones have a quality feel to them but while the Sony are made entirely out of plastic, the Bose uses metal for the back of the earcups. Both have sliding mechanisms for size adjustments that slide with precise clicks on either models. Both models feature foldable design and come with a carry case, although the Bose has a notably smaller case compared to the Sony. The Bose case has a pleather finish while the Sony has a fabric finish that looks a bit nicer. Both cases have compartments inside to hold accessories such as adapters and cables. In terms of controls, both headphones take very different approach. The Sony has a hybrid design that relies partially on gestures and partially on buttons. The gestures mostly control playback and volume while the buttons are for things such as power and Google Assistant/NC. The Bose relies entirely on physical buttons for everything. The gestures on the Sony are cool. You can swipe up and down for volume or sideways to skip forward or backward. A double tap pauses the music or picks up a call. Press and hold with your palm and the headphones switch to ambient mode that turns down the music and pipes in outside sounds for when you need to hear something around you. Having said that, I must admit, it feels kinda silly to tickle the side of your headphones in public every time I have to adjust the volume or change the track. There is also that rare occasion when the gesture doesn't work because you didn't slide your finger just right. In comparison, the old-fashioned controls on the Bose work just as well every time and, once you get used to their location, just feel a bit more intuitive and fool-proof. I especially liked that the Bose just has a simple slider to turn them on. You don't have to press and hold a button to turn the headphones on or off, which is the case for the Sony. Also, even for pairing, you just slide the button to the right most position for a second while the Sony requires you to press and hold the pairing power button for several seconds, that too after you've turned off the headphones first as pressing and holding the button while they are on will just turn them off. Having said that, the Sony does have NFC to make pairing a bit simpler. Overall, both headphones are well-designed and well-built, although the old-school physical controls on the Bose are easier to use. For any pair of headphones, the comfort is as good as the sound quality. You won't use a pair of headphones that has bad sound but you also won't wear a pair of headphones that isn't comfortable. Fortunately, this is where both the headphones excel. Both have really plush ear cushions that are designed to keep outside sounds out but also ensure long hours of comfort. The Bose have traditionally been known for their comfortable headphones, especially the QuietComfort. The QC 35 II are comfortable and I felt like I could wear these for long hours, which I have. However, when it comes to comfort, it's the Sony that takes the cake. Sony's cushions are like a luxurious couch for your ears. They envelop your ears really well and pamper them throughout the time you are wearing these. You also don't notice Sony's cushions on your ears as much as the Bose's, which feel like distinct thin rings on your head. Sony's head band also has the most cushioning — something they improved over the 1000XM2 — and is really plush. Not that the Bose's band is bad but if, say, you have a bald head then you'll definitely appreciate the Sony's band more. 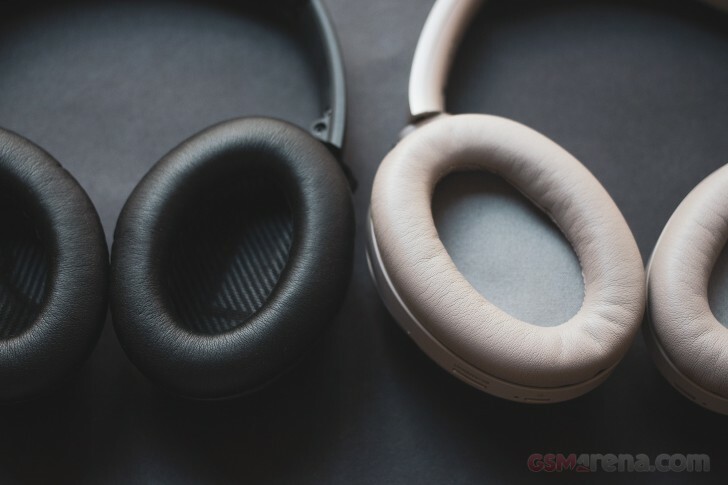 In terms of weight, the Bose is definitely the lighter of the two but neither is heavy and both feel like a part of your head after a few seconds. Where both headphones fail miserably is in ventilation. Because they are designed to keep sounds out, it also means no air can leak in or out. This creates a sauna for your ears, which in hot weather can become unbearable. A lot of my testing was done during summer and I had to take breaks every ten minutes to avoid cooking my ears. Of course, this isn't something you would notice in air conditioned environments, such as on an airplane with adequate cooling. Also worth noting is the air pressure. Both trap air inside your ears with no easy outlet, which can cause some pressure on your ears when the headphones move. On the Bose this isn't much of an issue but I did notice the Sony puts much more pressure on your ears. It's a tiny bit discomforting but not something you notice much while there's audio playing. The noise canceling is the main marketed feature of these headphones, and they are both good at it. The Bose does a great job isolating sounds such as thrumming and murmuring, which makes them great for use on airplanes. It's not quite pin drop silence in there but it does negate most of the annoying sounds and when you add the music on top, you barely hear anything around you. The Sony again takes a lead here with what I think is pretty much the new benchmark for noise canceling. The 1000XM3 will just nuke all sound around you, most of which happens when you just put them on without even starting them. Sony's new custom NC chip inside these seems to be doing a commendable job and the 1000XM3 can produce almost an uncomfortable level of silence. Not uncomfortable as in fatiguing but in the unsettling sense that people in anechoic chambers report feeling. This industrial strength sound deadening is great when you're on a plane or a noisy cafe but when you're sitting at home it feels a bit too strong. Having a bit of the ambient sound around you helps ground you in your surroundings and the Sony's aggressive noise canceling gives an unnerving sense of isolation that's borderline creepy. Of course, that's not a knock on the 1000XM3 and it is deeply impressive the level of sound isolation it is capable of. Both the Sony and the Bose let you control the level of noise canceling, of course. The Bose has a more coarse adjustment, with High, Low and Off being the only options. The Sony lets you adjust more finely with a slider in the Sony app. However, what you adjust on the Sony isn't just the level of noise cancellation but also how much of the outside noise it pipes in through the speakers, which are inversely proportional to each other. Both the Bose and the Sony headphones come with an app that lets you control the features that come with. The Bose is the more simpler of the two, although it does have a fair bit of features in the current version. The Bose app lets you see the status of the headphones, the history of devices it has connected to, the level of noise cancellation, and the battery. From here you can change whether to change the side buttons on the headphones to either invoke the Google Assistant or adjust the noise cancellation. You can also update the software of the headphones from here or you can also directly plug the headphones in to your computer and use Bose's desktop utility to install the update for you, which is much faster. The Bose app also lets you share the audio between two Bose wireless headphones. You can also choose which voice assistant you want; while the Sony only supports Google Assistant, you can also choose to use Alexa on the Bose. The Sony app has a few extra features, mostly pertaining to the noise canceling. You have the Adaptive Sound Control feature, which detects whether you are sitting, walking, running or traveling. It then chooses a profile dedicated to each of these activities and will even switch if it detects you are doing something else now. The profiles for each of these activities has different levels of noise canceling and ambient sound for them, so if it switches to the sitting profile, you'll hear more of the ambient sound around you with emphasis on voices. If you're walking or running you'll still hear stuff around you but with less focus on voices. If you're traveling the ambient sound is at its lowest. As mentioned before, ambient sound is inversely proportional to the noise canceling on the Sony, so less ambient sound means it will pipe in less sound from outside and also increase the level of noise canceling. All these profiles are customizable, by the way, so you can choose what you want for each of these activities. If you turn off Ambient Sound Control, you will be able to adjust the noise canceling manually. The app also has manual noise canceling optimizer. You can start this process and the headphones will do a test where it checks sounds around you, inside the headphones and the atmospheric pressure before setting the correct value of noise canceling. If you think the noise canceling is not quite right for your current environment then you can run this quick check once so the headphones recalibrate themselves. A sound position control is included, which puts sound in different places around your head. I'm not entirely sure what the point of this feature is. You also get some surround sound presets that emulate the sound inside an arena, a club or other locations. Again, the point of this is lost on me. There is also a manual equalizer available, along with Sony's famous Clear Bass control. Lastly, there is a DSEE effect, which claims to upsample low bitrate audio for better sound quality. It only works for low bitrate audio and not for lossless audio files. Here's the thing, though. Apart from the noise canceling controls, all the other features I mentioned in this app get disabled when you switch to any other codec other than SBC. So if you want to use these features, you need to keep the headphones in SBC mode. If you want to use AAC, aptX, aptX-HD, or LDAC, you can't use any of these features. Honestly, it's not a big loss as most of these features are gimmicks. All of these features on both headphones require their respective apps, which are available on iOS and Android. If you're planning on using these headphones with your computer, then you won't be able to access any of these app specific features but the headphones will continue to work fine otherwise. When it comes to audio quality, there is a fair amount of difference between the two. The Bose has the most clean and natural sound of the two. It has a very balanced sound signature that covers all bases very well. You get a nice punchy low-end but at the same time, the mids and the highs are clean with clear tonality and detail. The Bose absolutely shines with music that has more focus on vocals and instruments but is also at home playing EDM or hip-hop. Even listening to podcasts was a great experience on the Bose as the vocals come through clean and clear. It's just a very well-rounded sound that seems to work with everything. The Sony is less versatile. It has a much darker, bass-heavy sound that most people associate with Beats Audio. Listening back to back with the QC 35 II, the 1000XM3 sounds veiled and muddy in comparison, with significantly less vocal and treble detail. The Sony is more at home with bass-heavy genres, where it can show off its prodigious bass response, which is thick and creamy but also quite overpowering. It's also a more relaxing sound as it's generally softer and less dynamic. The sound quality is not bad by any means and it does sound pretty good overall. It's just that it's not as versatile as the Bose and better suited for some genres more than others. The funny thing is, the Sony supports way more codecs than the Bose, going all the way up to LDAC and also having the Hi-Res Audio certification. But despite the Bose's AAC-only codec, it just sounds better. High resolutions codecs are still good, it's just that you shouldn't put too much stock into them as in the end it's the way the headphones processes the audio that's important. Technically, both headphones have a connector on them to plug in the supplied cable and use them as standard wired headsets. The Sony uses a 3.5mm plug on both ends while the Bose has a 3.5mm plug on the source end and a 2.5mm jack on the headphones themselves. However, neither should be used in this manner as the audio is substantially different. The Bose audio in particular deflates entirely when uses in an analog manner without the onboard processing. The Sony is still decent but still sounds significant worse than using in wireless mode. 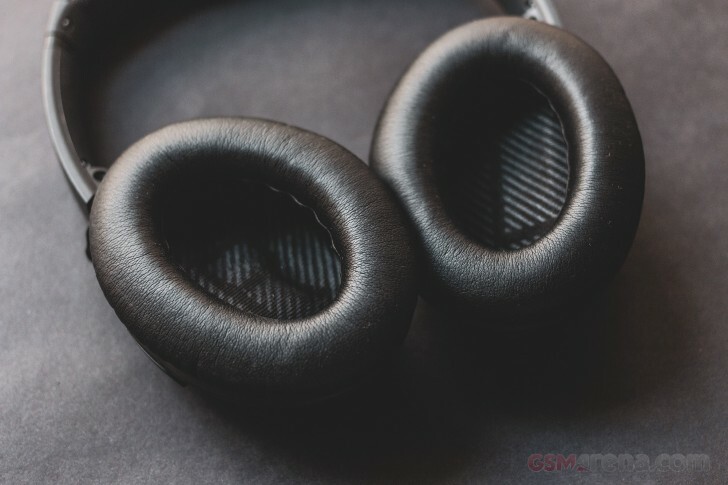 These are not meant to be used in wired mode as they rely heavily for audio processing, both for noise cancellation and audio equalization, to produce the final sound you hear, and fall flat on their face when their electronics are disabled. The cable is just for use in a pinch if the battery dies or if you intend to use with the airplane's audio system. Both the Bose and the Sony have long lasting batteries, but the Sony lasts notably longer. While Bose claims a battery life of 20 hours, Sony claims 30 hours. And this is with noise canceling on both. The Sony also charges faster. While a full charge takes three hours, the Sony gives you 5 hours of usage with a 10 minute charge. Meanwhile, the Bose gives 2.5 hours after a 15 minute charge. Lastly, the Sony uses the more modern and future-proof USB-C charging connector while the Bose uses a more traditional and outdated microUSB. Both the Sony 1000XM3 and the Bose QuietComfort 35 II are great pair of headphones that do their job admirably. I should mention at the outset that regardless of which you pick, you won't be disappointed. The Bose is the more traditional of the two, which is a way of saying it's a bit behind the times. It has a few less features, a bit less comfortable and the battery life is not as impressive. But it packs in excellent audio quality and great, if not the best, noise cancellation. The Sony doesn't sound as good, and a big chunk of the marketed features are gimmicks. However, it is supremely comfortable, with incredible battery life and audio quality that is still good enough for most people. Most importantly, the noise cancellation will teleport you to your own personal planet and is scary good. And since the main criteria for buying these headphones is clearly noise cancellation, to me the Sony is the better buy of the two.